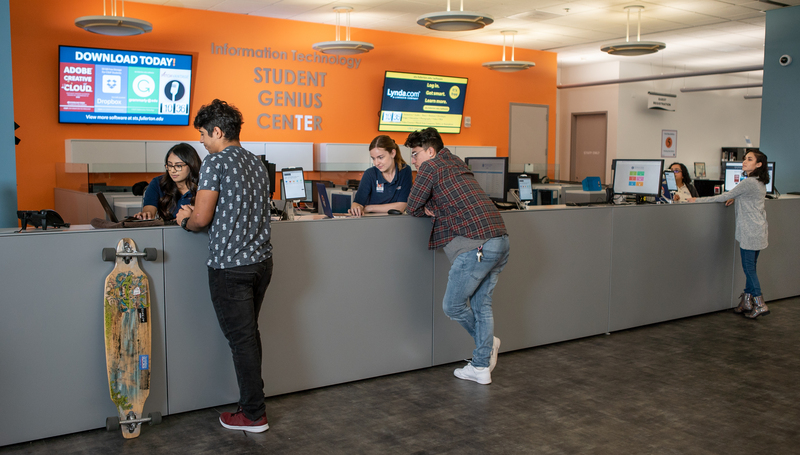 The Student Genius Center(SGC) located in the Pollak Library North, first floor. Student Genius Center and Titan Shops have partnered to have a secondary location for the TitanTech Service Center in the SGC. The TitanTech Service Center provides computer repair services campus community.